Hi, multiple positions were margin-called today and couple of people in Telegram pointed out that when you get margin called, it will try to settle whole postion, not only part that is undercollaterized. The algorithm buys back the asset but the collateral stays the same which leads to ever-increasing collateral ratio, even far beyond maintenance collateral ratio (MCR) which is not behavior that I would expect. My suggestion would be to change margin call algorithm so that it stop when collateral ratio becomes higher that MCR. In the example above it would mean that the algorithm would stop buying HEROs as soon as the collateral ratio of position would be higher as 200% (MCR of HERO asset). What do you think, does it make sense? IMHO it would help big holders of smart assets and still keep the system stable. since BitShares bitCNY feed depends on prices on external centralized exchanges and probably all of Chinese ones will stop trading soon, what implications does it have on BitShares? Will it influence stability of bitCNY? Do we have contingency plan for bitCNY? today I wanted to cancel an open order on OBITS_USD market and it failed because it wanted to pay transaction fee in TRADE.BTC which I own but it's just dust. 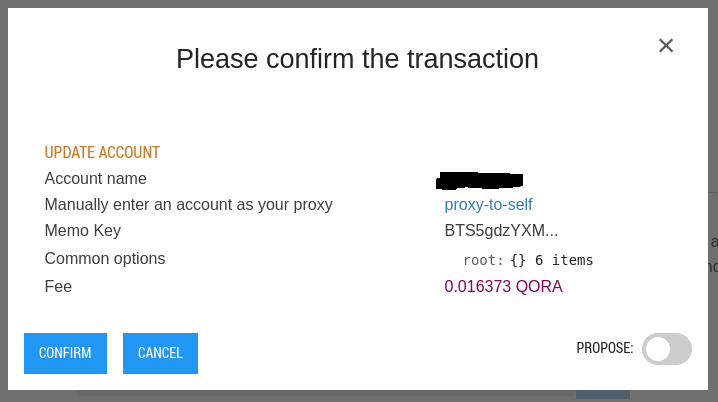 Later I wanted to change my votes and it wanted to pay transaction fee in QORA. Why are not fees denominated in BTS? How to change it to BTS? It is happening in both Firefox 54 and Chrome 59. I've just noticed MakerDAO's announcement about Sai https://blog.makerdao.com/2017/06/05/introducing-sai/, their version of stablecoin - a temporary solution before Dai is implemented. After reading the article it seems like they took best ideas from BitShares and added a lot of complexity on top of Ethereum network. What do you think? General Discussion / What will happen to finished workers? Hi, there are multiple workers that will expire on 31 Dec 2016 which brings few questions. There are few workers that have no unclaimed pay, e.g. burn-100k-3. My expectation would be that they just disappear, is that correct? What does the number in parentheses mean? Was this amount already removed from reserve fund? There are few refund workers, e.g. refund-100k-3 with unclaimed pay. 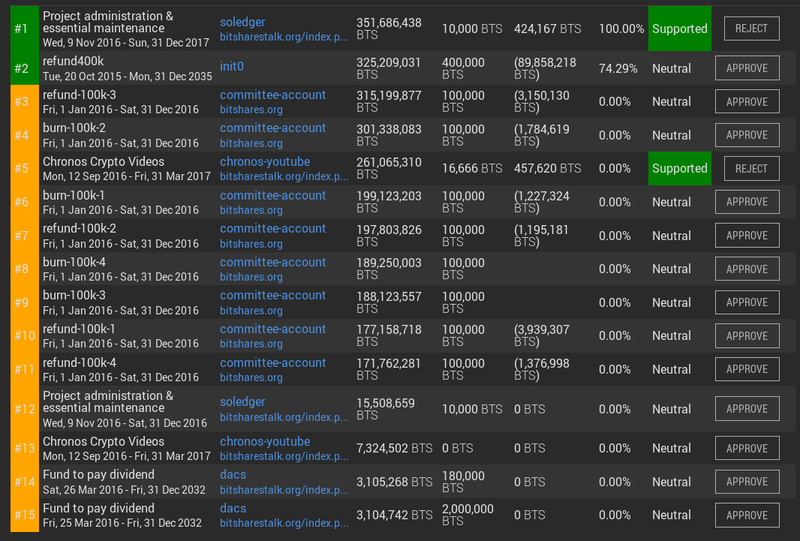 Will this amout go automatically to reserve fund or does somebody do something with these BitShares? Will we see sharp increase in reserve fund on Jan 1? There are few burn workers, e.g. burn-100k-2 with unclaimed pay. Will this be automatically burned? Is there any difference from refund workers on blockchain, there is none in wallet UI, except of its name which I guess is whatever string you want. Can creator of a worker cancel existing worker? E.g. there is Fund to pay dividend which hasn't been voted in and expires in 2032. Is there a way to clean up the list of workers? Why do people vote for refund400k with expiration in 2035 instead of one expiring in 1 or 2 years? could you please explain me how the call price on bit assets is calculated? How is "Your Call Price" calculated? I read the docs referenced from the form but still don't get it.